Quiet and romantic holidays in a great 3 star hotel on Ko Chang. 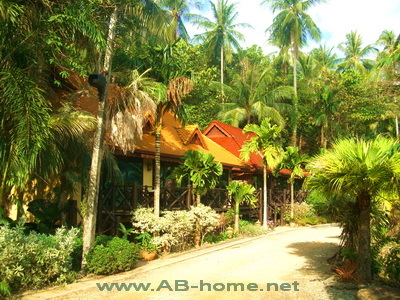 Nirvana Resort & Spa in Bang Bao is located in the south of Koh Chang Island. This beautiful spot is perfect for sunset watching and swimming in the Gulf. The rooms of Nirvana Resort Koh Chang are appointed with Balinese furniture’s, satellite TV, Dolby surround sound system and nice Asian decoration. The Nirvana Restaurant serves delicious dishes for reasonable prices with sea view included. One of the two swimming pools of this accommodation has a great view over Bang Bao Bay on Ko Chang in Thailand. At Nirvana Koh Chang you can relax and enjoy the private atmosphere of this middle class hotel. Nirvana Resort is one of Koh Chang’s best choices for quiet honeymoon and romantic beach holidays for couples and families. The pier of Bang Bao is easy to reach by walk or motorbike and offer good shopping possibilities and sea food restaurants. Nirvana Resort & Spa Koh Chang is rightly a leading location for nature fans and tourists who looking for a quiet place in Southeast Asia. 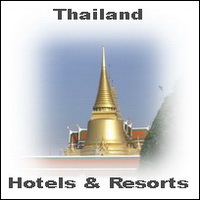 For Bookings and Reservations of many selected Koh Chang Hotels click here.